CO2, SO2, and NO are the main components of flue gas and can cause serious environmental issues. Utilization of these compounds in oleaginous microalgae cultivation not only could reduce air pollution but could also produce feedstock for biodiesel production. However, the continuous input of SO2 and NO inhibits microalgal growth. 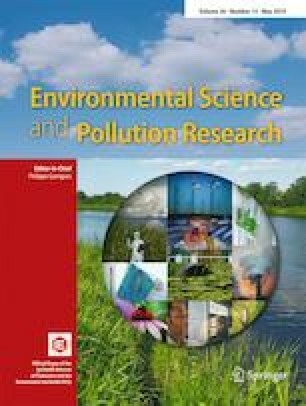 In this study, the toxicity of simulated flue gas (15% CO2, 0.03% SO2, and 0.03% NO, balanced with N2) was reduced through automatic pH feedback control. Integrated lipid production and CO2 fixation with the removal of SO2 and NO was achieved. Using this technique, a lipid content of 38.0% DW was achieved in Chlorella pyrenoidosa XQ-20044. The lipid composition and fatty acid profile indicated that lipid production by C. pyrenoidosa XQ-20044 cultured with flue gas is suitable as a biodiesel feedstock; 81.2% of the total lipids were neutral lipids and 99.5% of the total fatty acids were C16 and C18. The ratio of saturated fatty acids to monounsaturated fatty acids in the microalgal lipid content was 74.5%. In addition, CO2, SO2, and NO from the simulated flue gas were fixed and converted to biomass and lipids with a removal efficiency of 95.9%, 100%, and 84.2%, respectively. Furthermore, the utilization efficiencies of CO2, SO2, and NO were equal to or very close to their removal efficiencies. These results provide a novel strategy for combining biodiesel production with biofixation of flue gas. The online version of this article ( https://doi.org/10.1007/s11356-019-04983-9) contains supplementary material, which is available to authorized users. This work was funded by the National Natural Science Foundation of China (31272680) and the Ministry of Science and Technology of China (2013AA065805, 2012FY112900). This work was performed in Wuhan Botanical Garden, Chinese Academy of Sciences.